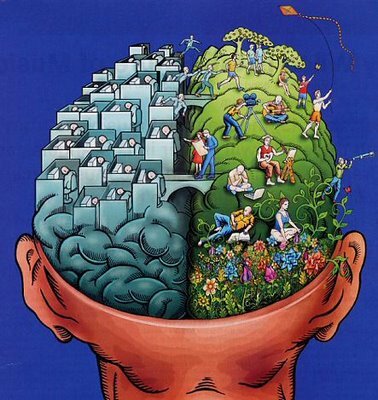 In order for us to have full access to our full potential, we need to be able to access both sides of our brains. I was pleasantly surprised that with some effort, I could make the dancer spin in the other direction, which means that I am using the left side of my brain, which is normally more dormant. The right brain left brain test can show us which part of our brain is most in need of some work, so that we can prevent brain shrinkage and dementia (provided we continue to eat a healthy diet of brain enhancing superfoods). I actually really enjoy doing addition and math problems, as well as logic and sudoku puzzles. I try not to use a calculator when I need to do number crunching. I am sure that for me, who lives in the creative fantasy world of the right brain, this is particularly beneficial, and truly works my brain in the way that will prevent future illness and disease. On the other hand, I am sure there are many left brained people who may benefit from doing creative activities, such as painting or poetry in order to work and expand their brain capacity. Finding out which side of our brain is dominant is a good starting point for realising how our brain works, and how we can wake up other parts of our brains to not only prevent disease, but to live up to our full potential as human beings. Imagine how much more full our lives will be if we are using every part of our brain. Einstein is a perfect example of someone who used both sides of his brain interchangeably. He was obviously incredibly scientific, logical, and math oriented, yet he was completely in touch with his intuition and right brain creativity.